What is a fraternity man? Max Reichardt is a communication studies senior and Mustang News columnist. The views expressed in this column do not represent the viewpoints or editorial coverage of Mustang News. The identity of the fraternity man is in flux. His roles on campus and in society are subject to increasing scrutiny, doubt and disdain — people wonder what he is for, if not to play into a drunken, privileged, ignorant and predatory stereotype? Who can blame parents for being wary of sending their sons to institutions that appear to condone atrocious behavior? I’m a fraternity president and a Cal Poly undergraduate student. Looking back at my near four years in both institutions, it’s become rather unclear what these identities really mean. Though I love my fraternity brothers and my experience has been wholly positive, I’ve never felt more ashamed or confused about our place on campus along with other Interfraternity Council (IFC) fraternities, one of which is Lambda Chi Alpha. Since the revelation of a Lambda Chi member in conspicuous blackface, and the accompanying “brotherhood event” which showed other white members posing as gang members in stereotypical dress, our campus has all but exploded in protest. Sadly, this is one in a long line of racist incidents at Cal Poly since my first year and beforehand. I will never forget the anger, confusion and shame I felt sitting in the IFC general meeting Monday, April 9 — the first meeting since the events at Lambda Chi became public. As soon as I heard the protesters cry out in outrage and desperation, my privilege was checked and any semblance of innocence melted away. 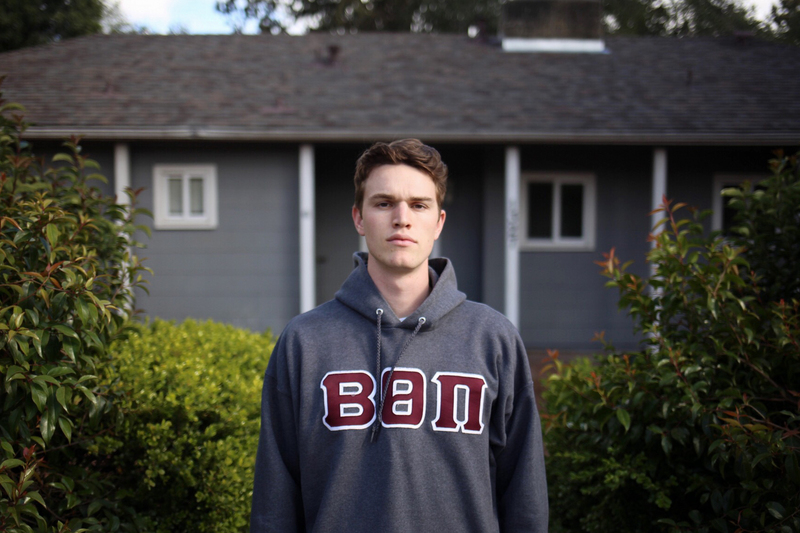 Though I am a different man, and lead an entirely different fraternity, I occupy the space of a straight, white Cal Poly fraternity man just the same. In times like this, I and the rest of this majority owe an answer for the crimes of one of our cohorts. I don’t blame anyone for their outrage toward all representatives of the oppressive group, briefly disregarding individuality. The very least we can do is listen, consider, stand with our disenfranchised peers and leverage our privilege to act for their aid. Nationwide, fraternity and sorority members everywhere are being exposed for similarly horrible incidents of hazing, sexual assault and racist behavior, and reflecting that abhorrence back on their entire institutions. As of writing this piece, the top four Google News search results for “fraternity” show reports of our own disturbing incident in two national newspapers, along with stories of other fraternities caught with drugs or sexual assault cases. It’s disgusting, and recent events have truly soured my view of the fraternity experience. We present ourselves and our organizations as means for men to become greater than themselves, to grow, to become close with our peers, give back to our communities and lead by example in academics, behavior and moral character. Serious soul-searching is in order if we are to preserve and modernize these age-old institutions, and double down on our commitments to our values and to loving each other as human beings. We are better than this. Otherwise, the modern fraternity man is culpable in the perpetuation of ignorance and privilege in higher education everywhere.